(The White House) Anger was expressed towards the Russian government today after a photographer gained access to a private White House meeting by pretending to merely be the personal photographer of Russian Foreign Minister Sergey Lavrov during a meeting with President Trump in the White House. Once he learned that the focus of much of the anger was President Trump himself, Lavrov relaxed. 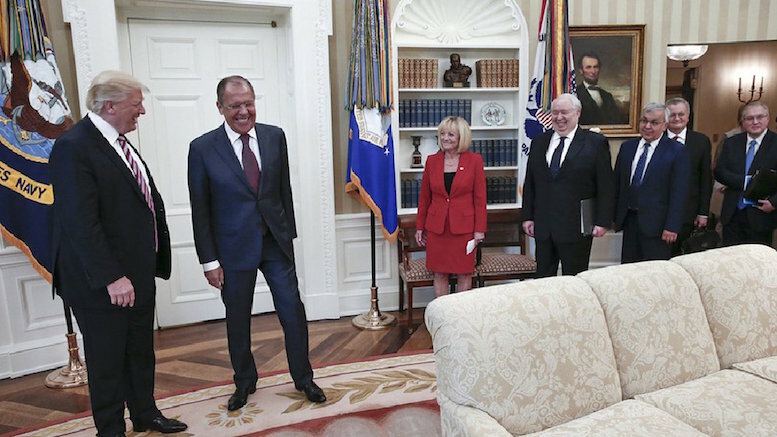 Lavrov then joked that next they will start complaining about the listening devices he had Micheal Flynn install before he was dismissed as National Security Advisor. Be the first to comment on "Russians Sneak Photographer Into White House In Addition To President"